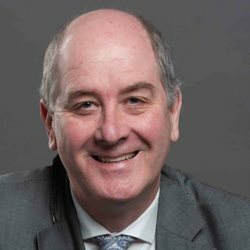 EXCLUSIVE: Victoria’s Planning Minister, Richard Wynne recently dropped a bombshell on thousands of apartment owners whose buildings are covered in flammable cladding. New loan laws likely to be passed by Parliament have been billed as a kindly gesture to help owners of apartments covered in the flammable cladding to fund the rectification costs. This news might seem a worthy initiative, except that the most iniquitous elements in this scandalous swindle are unspecified. Principally, Wynne’s decree provides that owners who bear no blame for this combustible catastrophe are to be burdened with a debt that could run into billions of dollars. Why are building owners forced to foot the bill? The answer to this question is very simple. In line with past policy, the government has decided to protect rogue builders and transfer responsibility to blameless owners. After years of dodging the question of who would be forced to pay to rectify the potentially lethal cladding bill, Wynne has waved through an answer of sorts, in the form of his new building amendment. But it is double-speak. Wynne’s resolution does not include the full facts, nor the horrendous implications. In addition, this new legislation has been made more difficult to comprehend because of the missing link between this reform and his earlier consumer protection laws passed in 2016. You need to look at what underpins it, and that can take many laborious hours. Only once you decode the cryptic core of the amalgam do you discover the deceitful laws that have been secretively enacted. Fundamentally, the Andrews’ government has shifted legal liability from delinquent builders to owners. For Wynne’s winners an unsurprising get-out-of-gaol windfall. For owners, another titanic bombshell. While the public might have thought that the government was taking its time to deliberate the enormity of the question about who pays for the replacement of dangerous flammable cladding, its plan was discreetly put into action in early 2015. Nonsensically, it was peddled as a consumer protection strategy. Minister Wynne, and all his helpful advisors, needed time. The scope of works for this serpentine strategy had to be schematised. Paradoxically, this decision to sentence consumers was selected as the strategic keystone four years ago. The spin doctors suppressed the news. Now to the first step in the narrative: Wynne’s Building Legislation Amendment (Consumer Protection) Bill tabled in 2015. Just like the current bill, the draft of this legislation was denied to the public until it slipped into parliament to be passed effortlessly in early 2016. Consumers and activists made repeated unsuccessful attempts to access and read the draft bill. By the time the news became public, it was too late. Naturally this triggered suspicion. Why all the secrecy and what was to hide? Well, Wynne had agreed to insert an explosive Clause 37B into the Building Legislation Amendment (Consumer Protection) Bill 2015. It was designed to deprive the Victorian Building Authority (VBA) of its powers to order rectification works once owners had taken possession of a building. Additionally, Wynne wilfully removed other clauses to diminish the VBA’s broad powers to virtually nil. Then, in October 2017, LU Simon Builders, who constructed the Lacrosse Tower (Australia’s only reported cladding fire in Melbourne in 2014) set out to test the VBAs powers. The builders mounted a legal challenge in the Supreme Court to stop the VBA ordering it to fix another six multi-storey towers which it had also constructed with the non-compliant cladding. The Supreme Court’s judgment came on 22 December 2017. LU Simons lawyers found the helpful Clause 37B. It delivered a whopping win! Let’s examine Wynne’s current Building Amendment (Registration of Building Trades and Other Matters Bill 2018 which he slipped into the Legislative Assembly on 26 July 2018. Classified top secret, it was withheld from the public until 7 August 2018. This Bill amends the Building Act 1993 and the Local Government Act 1989. In the Assembly, Wynne summed up the biting intention of his Loans Scheme “to provide for agreements to rectify defective cladding on buildings and charges to fund the rectification”(Hansard). Referring to Cladding Rectification Agreements (CRAs), Wynne artfully omitted to mention loans, or to cite owners as the target group. This was sinful scheming. The people vaguely referred to in these laws are owners, unfairly designated as blameworthy by the government and bonded to the pay pathway. 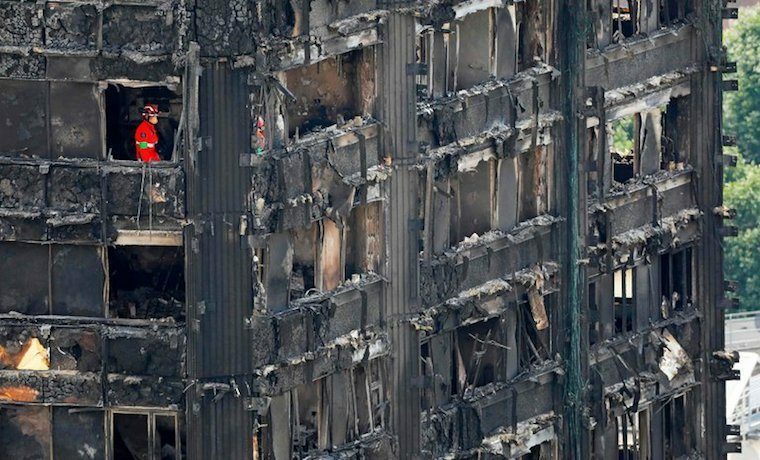 How could owners be the punished when it was builders and developers who ignored building regulations and installed highly dangerous cladding? For those conversant with the bizarre building rule book, this lunacy lies at its bedrock. The minister postulated misinformation about people being asked to rectify when he, of all people, knows that he agreed to owners being ordered to rectify. Wynne’s speechifying to the house on the entire bill was settled in a scanty 244 words, the charade over quicker than you could boil a kettle! Unquestioningly, the hot potato issue with its CRAs was the most momentous. Hence, Wynne shunned attention, depressed difficult questions and sidestepped ever so swiftly. Instantly the Loans Laws all wrapped up! There’s nothing praiseworthy about this “world first”. Fancy wishing to lead the pack in the race to the bottom in third world building and safety standards. Hardly heroic! Here Wynne failed to state that “safe and compliant” buildings are now mandated as the owners’ obligation. As for his preposterous claim that property prices will not be affected, many industry experts have confirmed this is clearly in the realm of the ridiculous. In 2015 the Consumer Protection Act was created. Significantly, in 2017 its Clause 37B secured the Supreme Court ruling to shore up the present bill, contiguous with the loans laws. The crucial link from 2015, fastening it to the loathsome loans in 2018, was wisely stowed away, restricted to seemingly minor other matters– presumably to discourage and deter public interest. Thus, the delay was never about time to weigh up the consequences for consumers or the community. It was not about “safety”, or builders being “compliant with building laws”, or “helping” owners. It was solely about buying time to delimit the legislation to achieve the planned objectives. From 2015 to 2018, under the façade of protecting consumers, officialdom’s strategy was pushed in progressive stages, each sliding seamlessly and silently to stitch up the swindle. Wynne had to hold off on any announcements until the time was right. This required Wynne’s poker face, the block-out and the lockout of the real stakeholders, and dogged determination to hold steadfast under pressure to pull it off. With the full deck of cards, all our money – and under the direction of the beneficiaries – once the hand was laid down and the trump played, it was an “open misere’, an unbeatable winning hand. In reality, the blueprint for blame was drawn long ago, constructed to guarantee that the intended victims were clueless, utterly defenceless and unable to prevent impending disaster. In a nutshell, the Act and attending Explanatory Memorandum specify the purpose of Cladding Rectification Agreements (CRAs) as expediting a tripartite agreement between owners (or owners’ corporations with 75 per cent of owners to consent), a lending body and the council to “provide a mechanism to rectify non-compliant cladding” by “facilitating the provision of funds”. These funds are demonstrably loans, but in this legislative arrangement the English language definition is adjusted. No longer a mortgage, although referred to as money loaned in Clause 79 of the Explanatory Memorandum, this debt has been ingeniously dubbed a service charge. It seems there are no limits to innovative reform genius. To consider the most significant corrupted characteristics. First, councils are the pivotal players. They may, or may not, decide to sign up for this Scheme. There is a carrot for councils however – the charge of an administration fee. Second, because they have no alternatives, this deal will propel financially able owners to secure a loan “with prohibitive costs”. Selling is not an option. “Losing up to 90 per cent of the value of a property would spell financial doom for home owners and investors alike”. Third, and self-evidently, it depends on whether owners can afford a loan. Notably, in recent weeks, some owners who have received orders to rectify (without knowing of the loans scheme) have declared on radio that their circumstances would not allow them to take on any more financial debt. So what happens to them? Ultimately, as controlled consumers, their choices are limited. Take a loan or liquidate and lose everything. Not a choice. So distraught owners, up against the wall, will try to ward off the wolf and opt to repay the loan with interest “in equal instalments” to councils over 10 years. There are a number of specific conditions pertaining to CRAs. For example, before signing up, owners must declare any debts and existing mortgages to the council, and also notify their mortgagee and obtain agreement. Other unmistakably troublesome issues are hidden in the fine detail of the explanatory memorandum. For example, the Council must declare the charge, and of course it “may be varied”. This Loan and penalties apply to owners. Therefore, should desperate and financially impoverished owners be driven to sell, or be sold up because they cannot make the repayments, they will lose their life’s savings. Finally, if an apartment owner tried to sell, the loan is on-sold with the property. This invites the question of, who would purchase such an apartment? To conclude, from a reading of the 7 September 2018 transcript of the Legislative Council speeches (Hansard), it seems that much of importance in this bill remains concealed. As usual, not in the public interest. Let us analyse the likely damage bill. Although precise statistics are unknown (official estimates are incomplete and unreliable) we can formulate an educated guesstimate. In Victoria, industry experts estimate that between 5,000 and 20,000 buildings are contenders in the potentially lethal cladding stakes. If we take the lower end of the estimated number of buildings, 5,000, and then count 50 lots (apartment owners) in an average strata block (some 80, some 400), that would total 250,000 owners. Even more are impacted if we include all family members. With each owner taking an average loan of $70,000, including interest over 10 years of $45,000 (based on a Macquarie bank loan calculator) this would total $115,000 per owner. Then if we multiply that debt by 250,000 owners, the aggregate bill is $28.75 Billion. Stop. Take a breath. Yes, you did read $28.75 billion! If we take the upper end of the estimated number of buildings with cladding as 20,000 and multiply as above, the aggregate bill is $115 billion. Compute the upshot of the cumulative loss to owners and the ballooning booty bequeathed to the builders/developers. Be mindful this is a very conservative, measured evaluation to quantify the devastating damage bill, and only for Victoria. A persuasive signal of clear and present danger. An urgent killer call to action. The car manufacturers have accepted paying the rectification costs. It is their obligation and in the interest of people’s lives. Logically this is as it should be. In stark contradiction, owners paid, in good faith, for a compliant, safe home. They were defrauded. Now powerless and helpless, our government has compelled them to pay for the second time (some via a loan with interest). The outcome is a double whammy! If we compare the cost of an average car at say $50,000 with an average apartment at 10 times the price (for most people the biggest investment of their lives), it is inconceivable that owners could be so unprotected? Then there is the risk factor. A one in two chance of the inflator airbags rupturing in an accident, and possibly an equal or greater chance of harm from the cladding-coated buildings. Let’s contemplate the threat to human life. By comparison with cars, the loss of life in one building would be way higher than in the case of one car accident – hundreds of people could die. How could a government gamble so readily and remove all requisite obligations for the big end of town? This is an incontrovertible case of profits ahead of people. Another shocking story will illustrate what builders will do to control reputational damage in their “commercial interest”. In October 2017, LU Simon Builders publicly promised to rectify the hazardous cladding on the Lacrosse Tower. The outstanding Council Order on the owners required rectification by July 2018. Astutely, LU Simon asserted their commitment as a “gesture of good faith” but it was purely a publicity stunt. In September 2018, the killer cladding remains on the Lacrosse building. This is four years after the raging inferno, and when, given the intensity of the fire, the experts were incredulous that no-one died. Now, long after the rectification was to be completed, the owners have been notified about taking loans and are facing huge expenses to fight the builders in VCAT. This likely to be a triple whammy – Wynne’s solution for the victims. We know a killer fire could flare at any time. We know that the financial burden placed on millions will drive far too many to bankruptcy, to end up broke and broken. At the mere stroke of a pen, millions of people have been targeted to prop-up the untouchables. It is unimaginable that the servants of the people have empowered a small elite to ignore consumers’ and public safety. Most telling is the preparedness of those in power to limit the fundamental rights of the majority of people. This is in defiance of our own state and federal consumer laws, and contrary to the international organizations to which we are signatories. This scenario is not science fiction. It is happening right here, right now. This critique does not take account of the Australia-wide damage bill for this cladding – liable to be hundreds of billions of dollars. Nor is there any examination of the plight of tenants. Nor the predicament of future purchasers. Nor the financial, building and safety legacy to the community. Through information asymmetry, untruthfulness and corrupted government and governance, we have all been nullified, compelled to be the uninformed. Literally thrown to the wolves! No protection and no consumer rights. Denied the right to even pursue preventative buyer-beware research for self-protection: this too stolen from us all. More perversely, apart from rendering the innocent victims as responsible, these latest ruthless reforms have reinforced the fail culture and buttressed an industry constructed on the law of no consequences. This is a red flag for an ever-worsening disaster. The privileged remain protected, legalized fraud lingers, and all of us are left to suffer in silence as the biggest losers. We are in a minefield, one char-grilled over 40 years, the architects of the plan knowing that one day the bomb would detonate. The aftershocks and the full fallout for consumers lie ahead. What we do know is that there will be horrific losses for the community and far-reaching, painful consequences for families. We also know that our government will continue to hide the truth. Brace for the future shock! Anne Paten is an activist in the Victorian building sector now turning her mind to the flammable cladding scandal that has seen residential buildings in the UK and Australia erupt in flames. Hi Anne, thank you for your article. I am in the middle of buying a property with cladding on it and expected to find something mentioned in the S32 or structural building report and found nothing. It is the bank which is ordering transparency and the sellers solicitor and body corp will not provide certification that it is not the aluminium cladding so the financing will not go ahead. After reading your article I’m a little less sad about not being able to get my ‘dream apartment’, but feel like this will be a big issue for people locked into their apartments. The more important question here is, How do we gain “Collective Traction” on this issue and make sure the pollies and the perpetrators who are responsible for this do not get away with it. Its time we, the owners, rise up and protect out own interest instead of having our supposed representative trampled all over our rights. A Class Action might be worth consideration. we have to make this an election issue. I am one of those owners forced to face this problem. Which is worst banks charging dead customers as exposed by the RC or this? LU Simon is still in the game after declaring bankrupt and starting another company. MY anger knows no bounds. They can put me in jail, I am certainly not paying for something that is not our fault. The whole system has failed us so what is the government going to do about it. Fantastic research and fantastic article; we consumers are being treated as mugs. Kevin Cobley’s response says it all for me. Anne, what an amazing expose how builders and big business can hoodwink the politicians and the public. The trouble is other media outlets have ignored the latest legislation of exactly and under whatterms and conditions,how Councils are now setting the agenda. This latest legislation compels owners to pay for the cladded units or housing in what builders and associated companies should be made to replace this cladding instead. To listen to Anne’s latest radio interview click on 3mdr.com; go to Thursday program, Judy-Ann & Company’ Click Thursday 30 August Listen from 9.30 a.m.till 10.30. Hear for yourself Anne’s compelling sequence of events about this rogue building industry and how it unravel to the detriment of unit owners. Good work Anne. As a well known margarine ad sings their praise: ‘You aught to be congratulated’. Wonderfully researched and presented article Anne, and one which everyone Australian needs to read as these disasters affect all of us consumers. It’s such an indictment on the mainstream media that they continually refuse to report these important facts to the public, instead running page after page of inconsequential dribble. This is investigative journalism at its best and it deserves to be supported to its fullest. Jay, thank you for your comment. I am happy to oblige on the MSM. It is virtually a total lockout. From my knowledge and the ease with which I could get stories into the public arena 10 years ago, and be invited on radio as a Guest in 2014 with a tsunami response, the beginning of the absolute shutdown can be precisely pinpointed. It came at the end of 2014, and there were two major events which were the triggers at that time. First, the Lacrosse inferno in November 2014, and closely following it the second – the ALP managed to become the ‘government’. It is noteworthy here that the Liberal Party when in ‘government’ was never going to approve any ‘positive reforms’ and all its parliamentary members have agreed to the many ‘Amendments’ since 2014, and indeed the present Bill will be passed. Any amendments the Libs are proposing will only be to the detriment of consumers and the community – like its ALP counterpart, the features it will insert into ‘law’ will only serve to put the very last nail in our coffins. Solution? We need independents, and they not funded by industry. We need to remove industry from its directorial position on/in all Government Boards and Committees, and the role swapping from Government to Business and vice versa. Foremost we need to get rid of the stranglehold of the 2 major parties in charge under the current system, to remove the ‘demonocracy’ and to give power back to the ‘people’. In the meantime we can garner the money saved from elections – all a waste of time – to fund our activism (currently no funding for real consumers). How? We need to eradicate apathy, inspire an uprising of anger among the people – but this only possible if they can be informed and ‘KNOW’ to become outraged, and then when they KNOW to ACT. It is truly depressing, but we must chip away, all of us together. Visit our Victorian Building Action Group website as a start. See some real people and their really horrendous stories – good videos and articles! Consider joining us – we are all building consumers! Great article Anne, thanks. Surely this would be covered by warranty insurance? Oh, I get it, VMIA never pays out! I wonder how any ‘fire experts’ sit on the BPB? Great work Anne. A full expose of the total swindle to protect business. I should add that COAG has also made it unfair from a building standards viewpoint by enacting the National Construction Code (perpetuating the laxity of its predecessor’s the Building Code of Australia), where several NON-EXPERTS on each flammable cladding project are permitted to specify, choose and certify unsafe materials in the name of ‘expert judgement’allowed at clause 1.0.5 (c) of Assessment Methods. In each project there was a specifier, a relevant building surveyor, a fire services engineer and a builder… and a marketer of the flammable product. A revelation of how those from within the castle perpetuate their mistakes. First mistake was to get rid of the council employed building inspectors. Second mistake was to allow this non standard material into the country and be used on high rise buildings. Once the problem exploded to the surface the internal workings of the government, the legal eagles got to work so as to shift the liability back to the peasants, IE People who consume. Until our governments re institute consumer laws run by regulators who work for the families who are our community we are a rudderless ship. The regulators who are lawyers must also be compliant to consumer law. Those who break this law or do not abide by it should be jailed for a long time AND HAVE THEIR ASSETS SOLD OFF TO PAY FOR THEIR NEW ACCOMMODATION. There would be a large number of positions available for honest hard working people to occupy but eventually we can all repair the immense damage that those within the castle have inflicted upon the families and communities of our nation. Incredible story. The most dramatic and well written ever in the FIFTH ESTATE. I can’t offer other cladding solutions. Its a horror story that doesn’t seem to have an end. But it triggers me to step sideways and point out the parallels of corruption to the building energy efficency regulations and fraudulent insulation standards that underpin the regulations. Standards that refuse to address correct scientific principles. Whether its failing cladding or failing insulations, and the common denominator? Is the product ‘fit for purpose’. Big business, bureaucrats and journalists block any attempt for open transparent public discussion on this topic, as well as so many other confusing or debatable issues, that control people’s lives. The common golden thread of deception, where no link in the chain must ever be severed. The Club Rules must never be broken. Sort of reminds me of that Nicole Kidman – Tom Cruise movie, “Eyes Wide Shut”. Sick, evil, corrupt and thoroughly unaccountable behaviour inside a Club. Just read the daily news, and we see a never ending list of heinous human behavior which leaves the Public stranded and helpness in ignorance. And utterly defenceless. And invariably all to protect big business. Its called “The Game of Mates”, a best selling Australian book. Buy it. Read it. I can better understand how the French Revolution evolved. Eventually the breaking point of the Public arrives. Its called Civil War when the Public defy the Law. The most sickening aspect to me is that public servants are a protected species, a species incapable of losing their jobs who should know the truth but won’t act, while small business operators and the total public, just keep paying the wages of these ‘public servants’. Don’t you just love that word ‘servants’. Yes, servants to the public interest, I thought it meant. Well done Anne. An astonishing piece of writing. I suppose LU Simon will do the same as Hickory did days before they were to face VCAT over the Anstey Square Development.Just put the company into administration today and start up another company tomorrow using their ABN number to register. Now the owners have nowhere to go and are faced with the same situation. This whole thing stinks of collusion and should be referred to a commission as it is a great cop out by the Vic government. Also legislated that the builders did not have to have indemnity insurance over 3 stories. Anne this is a very thought provoking article. You have obviously undertaken a lot of research and uncovered what otherwise we would not find in the mainstream media – and not know. Thank you. We need to get behind you, kick up a storm and say “enough is enough”. Probably need distressed owners to go to Parliament with pitchforks and ropes. Buyers beware, don’t under any circumstances buy into a “Clad Building” If it’s not 100% masonry don’t buy. Great article Anne! Would love to see some additional comments about mainstream ‘journalism’s’ complicity in ignoring all of this in favour of what the Kardashians or Beyonce’s are up to.